Palm Sunday, April 1st is Movie Night! After the 6:00 pm Mass, join us, bring a friend! See you there. Please direct any questions to Ana DaCosta at Saint.joes.youth@gmail.com or check our website: www.stjosephsstreetsville.com for upcoming events and information. … is tomorrow Monday, March 19th . There will be an evening Mass at 7:30 pm, followed by a reception in the Parish Hall with the Blessing of St. Joseph’s Table. 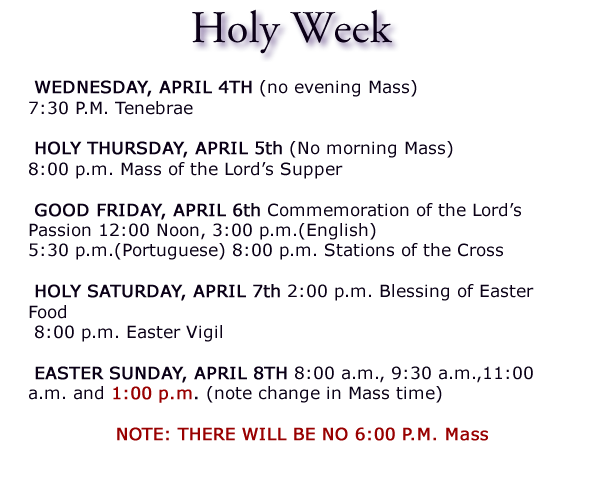 We ask that those attending, bring a dessert to the Parish Hall before Mass. To share our blessings with those in need, we will also be collecting non-perishable food items for our St. Vincent de Paul Food Bank. The Solemnity of the Annunciation was transferred from March 25th because it fell on a Sunday to Monday, March 26th. We will, therefore, also have a 7:30 pm Mass that day. 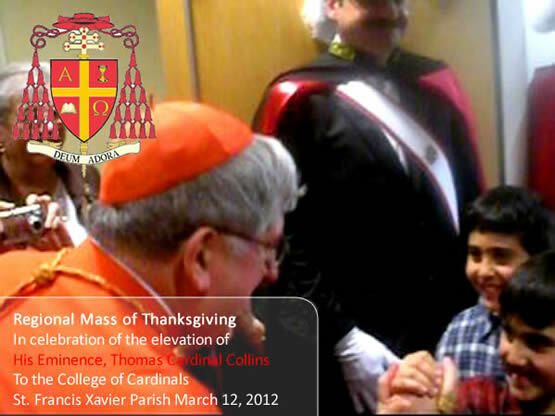 On Monday, March 12, 2012, there will be a Regional Mass in honour of our new Cardinal at St. Francis Xavier Church, Mississauga. Thomas Cardinal Collins will celebrate Mass at 7:30pm followed by a reception (potluck) in the Parish Hall. Everyone is invited to attend. 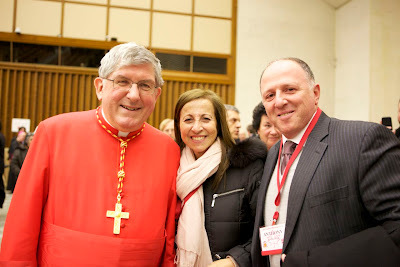 … is on Monday, March 19th and we will also have an evening Mass at 7:30 pm. Following the 7:30 pm Mass, there will be a reception in the Parish Hall with the Blessing of St. Joseph’s Table. We ask that those attending bring a dessert to the Parish Hall before Mass. To share our blessings with those in need, we will also be collecting non-perishable food items for our St. Vincent de Paul food bank.